Perfect for doing color work & knitting in the Fair Isle style. 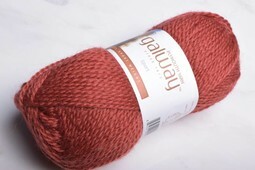 Galway is a 100% wool yarn that comes in a large array of solid, as well a gorgeous heathered colors. Also wonderful for felting.